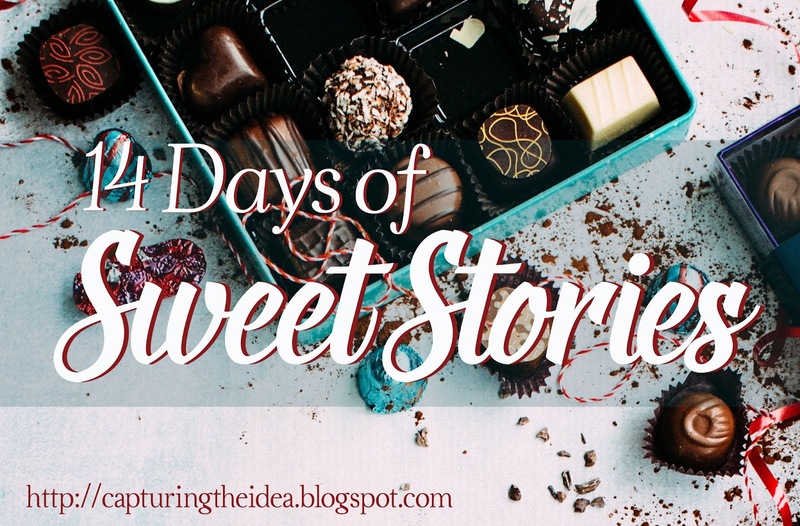 The series is called, "14 Days of Sweet Stories", and it's going to encourage your heart. Every day, a new story and author will visit this blog. They will share insights into their lovely stories of hope, faith, and love through promotional features like interviews, personal essays and book excerpts. There's something in it for you too because each author agreed to give away one copy of their book featured on my blog. You, my wonderful blogger friends, will have the chance to WIN their book by filling out the book giveaway contest entry form on the Rafflecopter widget which will be present in every blog post for this series. Sound exciting? I hope so! I'm looking forward to hosting these seasoned authors on my blog and believe that you will benefit from this celebration of sweet stories. Until then, take care and God bless your hearts! Thankful Thursday: My first traditionally published book! It's Thursday and I'm thankful for my first traditionally published book! I'm officially a member of the Forget Me Not Romances family of traditionally published authors. My journey to being a traditionally published author is a long one. It spans four years! Are you ready to hear the story? I'll try to keep it short. After my first book was self-published through Crossbooks in Sept. 2013 and re-branded by WestBow Press in Nov. 2015, I've been praying for God to bless me with a writing contract from a traditional publisher. My reasoning at the time was that since I could not afford to self-publish another book (it's very expensive) through a vanity press, it only would make sense for God to bless me with a writing contract from a traditional publisher. If that happened, I knew that I wouldn't have to pay any money to have my book published. So I started praying about this off and on for years (four years, to be exact). As I waited on the Lord, there were ups and downs in my journey to traditional publication but He carried me through it. Last Spring 2016, I reached out to a popular Christian publisher to see if they would consider publishing my second book and I received a positive response. They requested to see my full manuscript. One of the editors with that publishing company reached out to me within a few weeks after I submitted my manuscript saying that they liked it but would like to suggest a few revisions. So after a brainstorming session with my own editor, I made the revisions to my manuscript and resubmitted it to the publisher, then I waited. While I waited, I remembered that someone told me years ago at a writing conference that the traditional publishing industry moves slowly. So I expected to wait for several months to hear whether or not they wanted to publish my book. During the waiting, I read a book by Rachelle Gardner about the pros and cons of both indie and traditional publishing. The book's main purpose was to help writers decide whether to publish independently (indie) or with a traditional publisher. Now here's the fun fact: There was a checklist in the book that listed the pros and cons along with characteristics of the type of people who may be happier publishing their book traditionally vs. the type of people who would be happier going indie...and I met every category on the indie list! So from that day forward, I started to think that maybe I should publish my book independently through Amazon.com's Kindle Direct Publishing (KDP) and CreateSpace program. I knew and heard of many authors who are experiencing great success going indie and I hoped that it would work out for me too. But since I'd prayed for a traditional contract for so long (it had been three years at this point) and a publisher was interested, I decided to wait longer just in case this was God's answer to my prayers. Longer story short, in the third week of Jan. 2017, I followed up again with the first traditional publisher that I submitted my story to and they told me that they were still considering my book for publication with their company. I decided to ask if while I was waiting on their decision, may send my manuscript to other publishers. They said yes. So I sent it to a publisher that I knew through a mutual friend. She expressed interest in my manuscript and received it on Friday, Jan. 20. Over the weekend, I was thinking about the pros and cons of indie publishing and indie publishing was looking like it may be the best path for me. I called an elder from my church for prayer about my finalizing my decision. I told her that my game plan was to independently publish my next books until hopefully, it caught the attention of a great literary agent and a traditional publisher. So I settled on my decision and on Sunday, Jan. 22, I e-mailed the publisher that I'd been waiting to hear a response from and requested to withdraw my manuscript. They allowed me to and then I reached out the other publisher to inform her of my decision to indie publish my book. But within minutes of receiving my e-mail, she wrote back and told me, "Okay but I was going to offer you a contract." Now that's what we call a "plot-twist" in the fiction writing community. I thought that I knew the outcome and decided on the direction that I was moving forward in, but her response threw me for a loop (in a good way)! I had to re-read the e-mail twice because I could not believe what I was reading! Given my concerns about the pros and cons of indie vs. traditional publishing, I asked her if we could talk over the phone first because I had questions. We arranged a phone call for Monday morning, Jan. 23. She answered all of my questions and put my mind at ease. I no longer had those concerns and I realized that this was an answer to my prayers! So I accepted her offer and signed the contract. Everything moved forward quickly from there. My new publisher sent paperwork for me to complete and I did so on Monday. She also sent the formatted version of my manuscript to me along with a few corrections for me to apply to the formatted copy. So I started working on that. Then on Tuesday (Jan. 24), she sent five images for my book cover design for me to choose from and by Wednesday morning (Jan. 25), we finalized my book's cover art. She told me that once I finished making the corrections to my manuscript, it would go LIVE on Amazon.com. So by Wednesday afternoon, I sent the final edit to my publisher. Then, on Thursday morning (today, Jan. 26), she sent the entire file including my author bio and other details, to me for a final look before she published it. I spent about two hours making sure that everything was perfect (which it was, much to my delight) and I returned the files to her with my approval. She told me to check Amazon.com in a few hours and by 2:00 p.m. (EST) today, my book went LIVE on Amazon.com! God is good! Right now, only the digital version (e-book for Kindle) of my book is available. The paperback version will be available for purchase within a few weeks. I am still amazed at how God answered my prayers for a writing contract with a traditional publisher and I'm awed at how quickly He moved this process along! I mean, I signed the contract on Monday and less than four days later, my book was published! I hope that my story about my path to traditional publication inspires you and encourages your heart. Whatever you're going through in this life, don't give up. Don't lose hope. Keep praying to God and serving Him. Help others and do good works. God has not forgotten you. He hears EVERY prayer that you send up to His throne and He will answer your prayers, maybe not on your timetable but in His perfect time. And when He does answer your prayers, get ready because as you can tell from my story, He moves fast! P.S._ Here's the link to my book on Amazon. 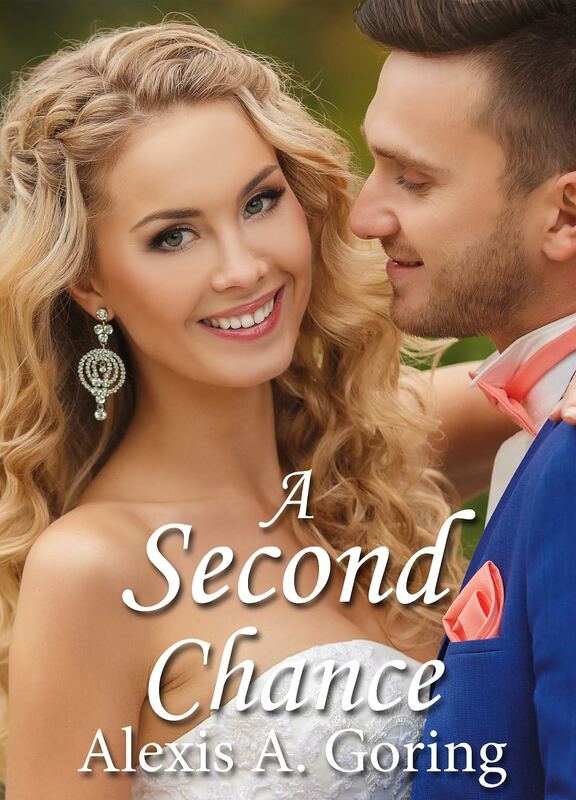 It's an inspirational romance standalone novella called, A Second Chance. I hope that you will buy a copy and read it! Thankful Thursday: The Beauty of Serving a God Who Knows! It's Thursday and I'm thankful that I serve a God who "knows"! Allow me to explain: Lately, I've been feeling bogged down by the cares, distresses, disasters and despair that are part of our world. I would wake up in a negative mindset and go throughout most of my day feeling that nobody truly "knows" my pain and understands what I'm going through. But then for the past several days, my negative train of thought was interrupted by the key lyrics to this song "He Knows" performed by Jeremy Camp. This song simply reinforces the truth that the Creator of the Universe (God) knows exactly what I am going through and He is with me in the dark valleys of life. But not only is He by my side, carrying me when I'm too weak to walk, He's watching over my every step and making sure that I don't fall to my death. God is closely acquainted with our pain, hurt, and sorrow. He is the only One in the Universe who understands the human condition and earthly plight so completely and intimately. And only He is fully equipped to bring us through the toughest times. When you trust God to be there for you, there's always a ray of hope in every storm of life. The Bible says that He will never leave you or forsake you (Hebrews 13:5). God deeply values us mere mortals because He created us and He wants what's best for us. He is near to the brokenhearted. He and His Son Jesus Christ feel your pain and the best news is that with they will not allow suffering to go on forever! One day, God's going to send His Son back to Earth to redeem His faithful followers and take us to Heaven. We will live better than happily ever after that we read about in fairy tales because it's a true reality for the future of those who believe in Him. God's faithful followers can look forward to an eternity filled with His Presence, Peace, Joy, and Love. So in closing, allow me to soothe your soul with this truth: God wants to heal your broken heart. He wants to restore your mind. He wants to redeem your soul. Will you let Him? Will you trust Him to be there for you? Will you allow Him to carry you through tough times and wipe the tears from your eyes? God loves you with ALL of His divine Heart! Always remember that truth and read Jeremiah 29:11. And when you're feeling alone or like no one "knows" what you're going through, don't despair. Put your trust in the Lord because HE knows and He will help you. Are you starting 2017 with a stammer? Beginning the year with “but” and “can’t” and “how on earth am I going to achieve anything?” For most of us, we have our fears and doubts when it comes to thinking ahead—whether it’s for work, relationships, ministry, home, or studies. We fret about failing and worry about what others will think. But we are in good company—Moses had similar issues back in the day. Public speaking was Moses’ worst nightmare—perhaps you can relate? His palms got clammy just thinking about it. He stuttered and stammered at the best of times, and yet God wanted him to go and speak with Pharaoh, the most powerful man in Egypt. God even performed miracles right in front of Moses’ face, and Moses still had a truckload of excuses why he wasn’t the man for the job. Honestly, when I read that Moses saw a stick become a snake and then a stick again, followed by his own hand turning leprous and then miraculously being healed before his very eyes, I wonder what was wrong with the man! Surely he could see that God is mighty and capable of anything—including helping Moses with a speech or two. And then I look in the mirror and realize that I am a Moses! I experience God’s goodness and have seen the miraculous occur in my own life (maybe not of the snake variety, but my own mini-miracles just the same) and still I doubt that I am able to do what God is asking of me. I am forgetting who God is, just like Moses did. Do you ever suffer from “not enough” syndrome? We may feel we don’t have enough, but how wrong we are! WE HAVE GOD—Creator, Alpha and Omega, Eternal King…isn’t that enough for us? Do we truly believe that the One who made our mouths can give us the right words to say? That the One who formed our bodies can give us the energy we need to go where He sends us? If we are open to God, He will bring us challenges galore, as we are part of His plan. Let’s not waste time debating with Him! Remember whom it is we serve—the all-powerful God of Heaven and Earth who is the Lover of our souls. Let’s draw our strength from Him, and step out in faith and obedience. God is right there with us, too. We are enough because He is enough. All we need to do at the start of this New Year is to “get going”. Laura is English and Canadian, married to her high school sweetheart, mom of three, passionate about faith and family, and chocolate! 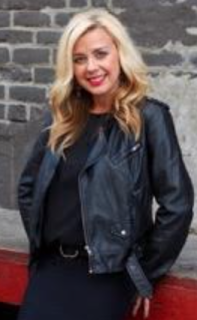 Let's welcome Laura Thomas to the blog! She's an author, wife, mother and all around awesome person! Laura's agreed to share a devotional that she wrote for every first Wednesday of the month starting this Jan. 4, 2017. I'm going to let Laura introduce herself to you, in her own words. After you read her introduction post, please leave a welcome message for Laura in the comment section toward the end of this blog post. I am rather a late bloomer in the world of writing. Growing up in England, I was a total bookworm as a child, and had a secret dream of being an author one day—a secret I kept under wraps for about 25 years! My husband finally unearthed my writing dream over coffee one day, and encouraged me to pursue my passion. What? I was homeschooling my kids at the time, worship director at church, and had zero room for anything else—but I felt a stirring in my heart, and eventually completed a couple of correspondence courses with the Institute of Children’s Literature, which set me on the path to being a “real” writer! It didn’t take me long to discover my love for writing in many genres—I honestly thought I would be a children’s author initially, and had many stories and articles published in children’s magazines. I always had a strong desire to put good morals and Biblical principals into my work, and was thrilled when Dancing With Bear Publishing published my Christian teen fiction trilogy: Tears to Dancing, Tears of a Princess and Tears, Fears, and Fame. They were closely followed by my middle grade fiction book, The Candle Maker, set in Victorian England. So what about the grown-ups? I’ve been blogging since 2012, and thoroughly enjoy writing my thoughts and sharing my faith with my readers. In 2014, my daughter got married, and Pearls for the Bride was published—a book for brides-to-be and newlyweds from a mother’s perspective. It was such a joy to dig into the Word and draw from my own marriage to offer some “pearls of wisdom”, along with a good dose of humor (a necessity in any marriage). This past summer, I wrote Diamond Devos 31—a FREE e-book devotional featuring 31 days in Proverbs 31 as a source of encouragement to my sisters of all ages. I hope you’ll check it out on my website! Did I mention it’s free? Writing devotionals is a passion and a privilege to me. As well as writing for my own blog and several Christian magazines and websites, I’ve been honored to write almost 60 devotionals for Union Gospel Press for children, teens, and adults. For me it’s a win-win because I get to share what God has laid on my heart from His Word, which hopefully encourages and inspires the reader, while preaching to myself. I have much to learn, and being teachable is key, especially as a devo writer. I have been journaling my own daily quiet times with the Lord for several years (mainly because I have a horrible memory so have write it down), and this has become a beautiful source of inspiration for me. When Alexis asked me to write here once-a-month for her monthly devotional slot, I was more than happy to agree. I hope you’ll join us here on the first Wednesday of each month, and I pray that the “food” for thought (my devotionals) will be nourishment for your soul. Welcome Terri Wangard to the blog today! She's here to talk about her latest release, Soar Like Eagles. It's a delightful romance story that will encourage your heart with its theme of how love conquers all, and its thread of faith will inspire your heart. Enjoy your time with Terri! 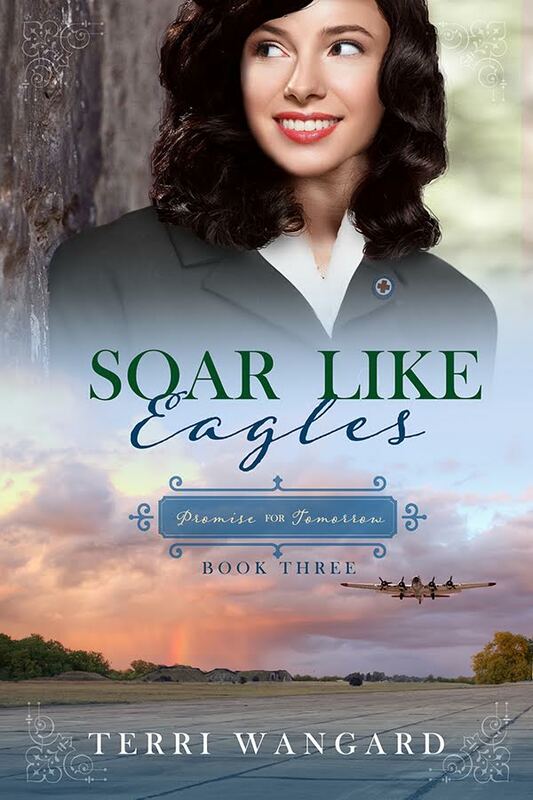 Alexis: Soar Like Eagles is book number three in your series, “Promise for Tomorrow.” What is your book series about? Terri: All three follow B-17 navigators based at Ridgewell, England, during World War II. The first one is shot down in Germany, where he finds a woman he’d gone to school with. The second is interned in Sweden, where he meets the woman who crossed to Europe on the Queen Mary with him. And the third meets a woman at a train canteen who follows him to England as a Red Cross volunteer. Alexis: What makes Soar Like Eagles unique? Share the storyline. Terri: Soar Like Eagles features a Red Cross clubmobiler, and you won’t find many, if any, novels about that. She wants to do her part for the war, but struggles to maintain her ideals. He joins the air force, hoping to find peace. Alexis: Tell us about the heroine of your story, Carol. Describe her looks, personality, passion and hope. Terri: Carol is named for my mother, who I think would have made a fine RC volunteer. The fictitious Carol is a newspaper reporter writing about social events. She wants to be more involved in the war effort and contribute in a meaningful way, which does not include describing ladies’ gowns at a Christmas party. The book cover pictures her well. Alexis: Why did Carol decide to become a Red Cross doughnut girl? Terri: She joins the Red Cross to find that meaningful contribution. Many girls serve overseas. Working in a factory may be a necessary and worthwhile occupation, but she wants to be closer to the action and the fighting men. Alexis: What does Carol like the most about serving GI’s and boosting their morale? Terri: Most of the men are thrilled to see American women. Many need a listening ear. The girls give them a respite from the consequences and strain of battle. Alexis: Carol wants to steer clear of wartime romances. Why? Terri: A close friend married a man Carol rejected within days of the rejection. She came to deeply regret it. Wartime romances, especially those overseas, take place in unnatural situations where they don’t necessarily get to know the real person. Marrying in haste only to discover she’s married a stranger holds no appeal to Carol. Alexis: Tell us about the hero of your story, Chet. What is he like? Describe his looks, personality, passion and dreams. What is his greatest fear? Why? Terri: Chet’s mother died when he was young. His father was stern and ridiculing, so his maternal grandparents took Chet. He wants to prove he’s not the worthless kid his father claimed him to be. He excelled at the Pan Am navigation school and was offered a postwar job (if he survived). But always, in the back of his mind, he hears his father’s taunts. He’s tall, dark haired, kind of like Ioan Gruffudd. Alexis: What is it about Carol that attracts Chet? Terri: They meet at a train canteen for only a few minutes. He’s quiet, polite, good-natured. And, of course, he’s easy on the eyes. Alexis: What is it about Chet that makes Carol reconsider wartime romance? Terri: She sees his concern for his friends, his grief when they die. He comes into the clubmobile’s kitchen and washes dishes when they run short. She sees his humor as he interacts with enlisted men. He’s responsible and well-thought of by the other airmen. Alexis: Chet is from a troubled family/home life. How did the verbal abuse affect him as he grew up? What made him into the man he is today? Terri: He’s determined to prove his father wrong. There’s always that extra push to succeed. Alexis: Chet is a squadron lead navigator. What does that mean? Does he like his job? Why or why not? Alexis: Why did you choose to incorporate the real-life, airplane company legend PanAm into your fictional story? What is the significance of it? Terri: I want my stories to be solidly based on fact. Even the missions the airmen fly go to the actual targets on the dates they were flown by the 381st Bomb Group based at Ridgewell. Many of the incidents my characters face grew out of real occurrences. I chose PanAm because it provided lots of story possibilities in Miami, primarily for book one, Friends & Enemies, where Chet and Paul (of Friends & Enemies) meet. Historical accuracy is important. Alexis: What did you enjoy the most about writing this story? Terri: I love the research. My personal library contains many memoirs by participants of the 381st Bomb Group and other navigators. For this story, I acquired lots of clubmobiler memoirs. I enjoy biographies and find it fascinating to learn about people’s lives. Alexis: What was the most challenging aspect of writing this wartime romance? Terri: Getting it right and believable, and weaving all the threads together. I made flow charts of all three books to make sure their dates match, since they’re all in the same time frame. Terri: I don’t start out with one in mind when I write. Carol stood up for her beliefs, which caused trouble with a colleague who was intent on marrying. Chet didn’t let his father’s criticism hold him back; he used it to prod himself to do better. Alexis: Thanks for the interview, Terri! Do you have any final comments? Terri: Thank you for having me! Terri Wangard grew up in Green Bay, Wisconsin, during the Lombardi Glory Years. Her first Girl Scout badge was the Writer. These days she is writing historical fiction, and won the 2013 Writers on the Storm contest and 2013 First Impressions, as well as being a 2012 Genesis finalist. Holder of a bachelor’s degree in history and a master’s degree in library science, she lives in Wisconsin. Her research included going for a ride in a WWII B-17 Flying Fortress bomber. Classic Boating Magazine, a family business since 1984, keeps her busy as an associate editor. 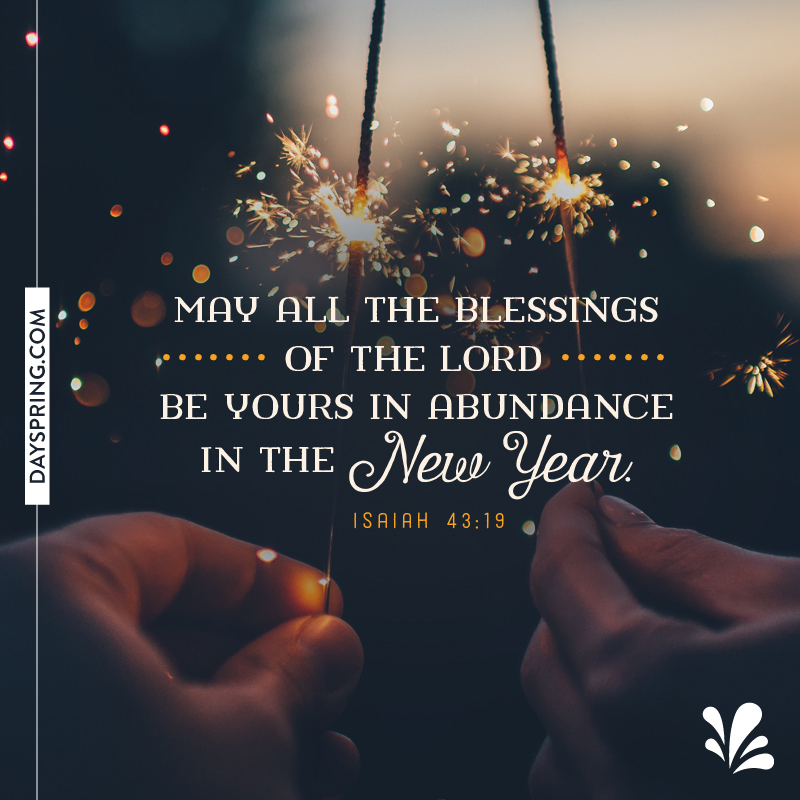 Today marks the first day of a new year! Welcome into 2017! Are you looking forward to this new journey? I am hopeful, for many reasons. 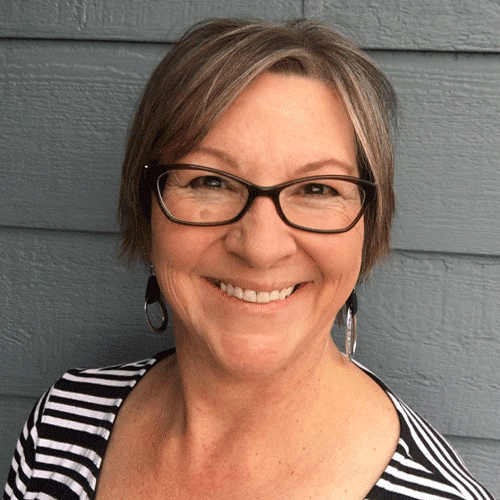 Please welcome a new face to the blog, Lynn Kinnaman! She's an author and ministry leader with a heart for Jesus Christ. Today, she's here to share a devotional about taking a fresh start in life. I hope that your heart will be encouraged by her message. 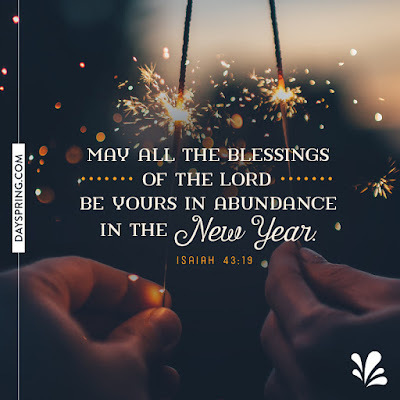 I’m not much for resolutions, but I do feel a renewing with the beginning of a new year. After all, we’ve just come off the season of the birth of Jesus, the hope of the world, and we know the promise of salvation that He brings. However, one January many years ago found me desolate. I felt no hope and couldn’t imagine a future. My life, as I’d known it, had disappeared. I was getting a divorce. I’d met my husband at church when I was 15, and on my 16th birthday he gave me a ride home from a youth event and we became an item. A little over three years later we got married and a few years after that we were blessed with two children. Having a family meant everything to me. As an only child of divorced parents, I’d never really experienced the closeness and warmth I’d read about in books, and I relished the idea of building new traditions. Then it was gone. After 28 years of marriage I had to begin again. The problem was, having gotten married so young and identifying myself as a wife and mother, I didn’t think I was anyone by myself. In addition to the divorce, we’d also gone through bankruptcy. I had no job, no credit and no ideas. Stripped of all the things that I thought had defined me, I was forced to figure out who I was and what I should do with the rest of my life. I could crawl under the bed and hide, which was very appealing, or I could make some changes. I knew I wasn’t alone. Through the darkest times of the divorce and bankruptcy I prayed and God sustained me. I was angry, I was frightened, I was hurt, I was shattered. I went to church and cried. Yet He never left me. I felt unloved. He loved me and rejoiced over me (Zephaniah 3:17). I felt betrayed. God was constant and He keeps His promises (Deuteronomy 7:9). I felt abandoned. God is faithful (Deuteronomy 31:6). I felt tired. God gave me the strength I needed (Isaiah 40:31). I moved, for the third time in months, and stayed with relatives in another state. I found a church, got a job, and learned a new skill, building websites. It’s been years since I had to make that massive new start, but I haven’t forgotten the lessons I learned about how to do it. First, I needed to get grounded. I needed to reconnect with God and find a community of friends who would support my faith and encourage my focus on Him. Then, I needed to honor my losses but also go beyond myself so I could begin to count my blessings. This wasn’t immediate, it’s a process, but I got a job working with an organization that used animals for therapy for people who had injuries or other disabilities. It was a daily reminder of healing potential. Finally, I wanted to help others. In 2 Corinthians 1:4 it says that God is the father of compassion and all comfort, “who comforts us in all our troubles, so that we can comfort those in any trouble with the comfort we ourselves receive from God.” I wanted to make that a reality so I took a coaching course and later becoming a Divorce Care Facilitator. I’ve written books on divorce recovery, comfort verses and began a group called Solo Sisters to create a community for women, who are single for any reason, to support and encourage each other. My fresh start opened a new path for me, but it worked because I committed it all to Him. As I remember that dark January long ago I realize God has blessed me beyond my imagining. Today I appreciate this new year, and feel full of joy and possibilities. You don’t need a life-changing event to create a new beginning. If you don’t like where you are, imagine where you’d like to be, commit it to God then put one foot in front of the other. Before you know it, you’ll be on your way. Lynn Kinnaman is a published author and website designer. She’s a Stephen Minister and founder of SoloSisters.com, welcoming women who are single for any reason. She’s been published in Chicken Soup for the Soul. 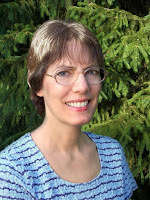 You can see a complete list of her books and publications on her official website, LynnKinnaman.com.